The Peak District is an inspiring place for many cyclists, and is also home to some unique businesses that cater for you when you are out on the bike. One of these, based on the edge of the Peak District is Velotastic, who sell a range of cycling goodies, from clothing to gifts. In this latest blog post Peak District Cycling sets out to discover more about Velotastic, owned by keen cyclist Paul Gregory, and the inspiration behind its creation. What motivated you to start Velotastic? About five years ago I bought an old French Mercier bike as a winter project to stop me getting bored in the long evenings. I struggled to get parts for it from my local bike shops – the only thing that they seemed to stock were black and carbon. I saw a gap in the market and Velotastic has evolved from there. 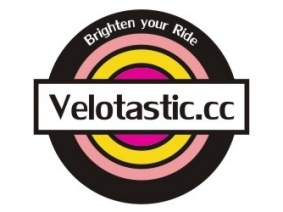 What has been your biggest challenge to date with Velotastic? What is your favourite place to cycle in the Peak District? The Peak District is such a diverse place that it’s hard to pin down one place. My current favourites are the riding the Eastern Moors on my cross bike, or the climb up to the gliding club at Abney. 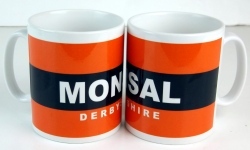 Do you have any plans to expand your range to include more Peak District themed products? Most of my own brand product ideas come about whilst I’m riding and can be pretty random at times ! I’ve a few Peak District themed ideas in my notebook (I try and release several new products a month), so in answer to your question – yes ! What’s different about Velotastic compared to other cycling retailers? I like to try and stock items that I would use myself, so unlike other retailers I’ve quite a big range of items that are suitable for more retro styled bikes. 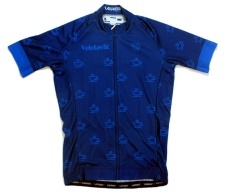 There’s also my own brand products that I sell exclusively through Velotastic. I’m too big for a climber but I do enjoy a good climb. Choose one bike: vintage steel or lightweight carbon? Where do you see Velotastic in 5 years’ time? Hopefully doing more of the same. I’ve got a fairly big plan I’m working on for 2017. Hopefully if it comes off it will make Velotastic sustainable for the long term. For more information about Velotastic and to view the range of products on offer, including cycling clothing and gifts – visit the website: www.velotastic.co.uk.